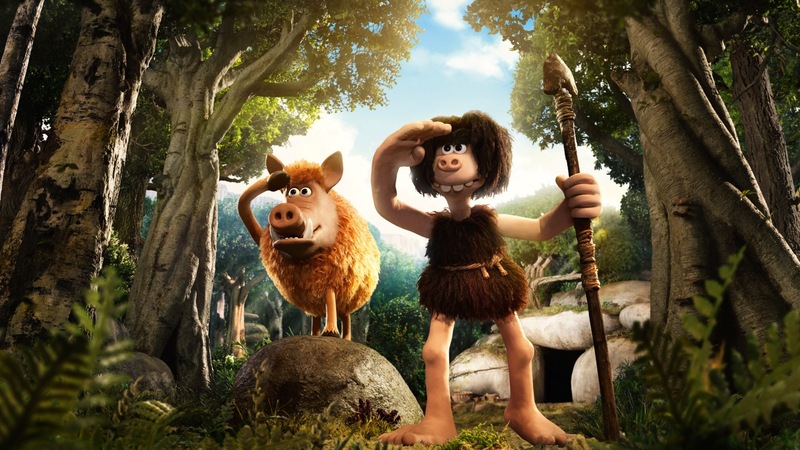 Early Man is the story of plucky caveman named Dug and his sidekick Hognob as they battle to preserve a simple existence and unite their people in an epic quest to defeat a mighty enemy — the Bronze Age. 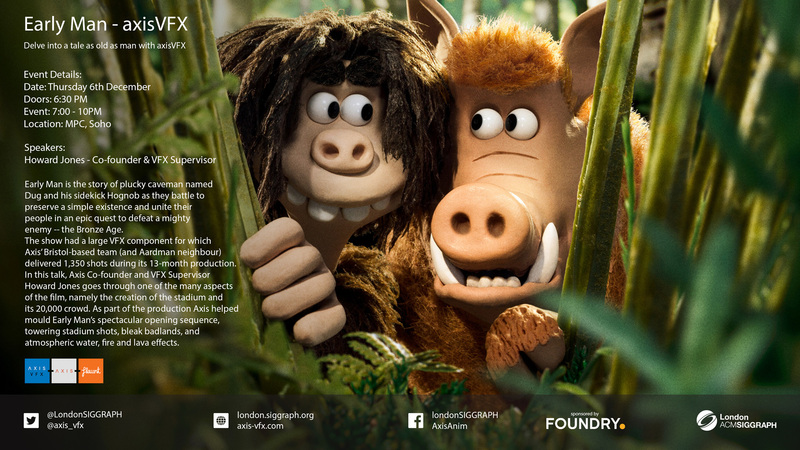 The show had a large VFX component for which Axis’ Bristol-based team (and Aardman neighbour) delivered 1,350 shots during its 13-month production. In this talk, Axis Co-founder and VFX Supervisor Howard Jones goes through one of the many aspects of the film, namely the creation of the stadium and its 20,000 crowd. As part of the production Axis helped mould Early Man’s spectacular opening sequence, towering stadium shots, bleak badlands, and atmospheric water, fire and lava effects. The Event is supported by Foundry.